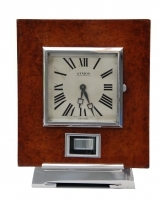 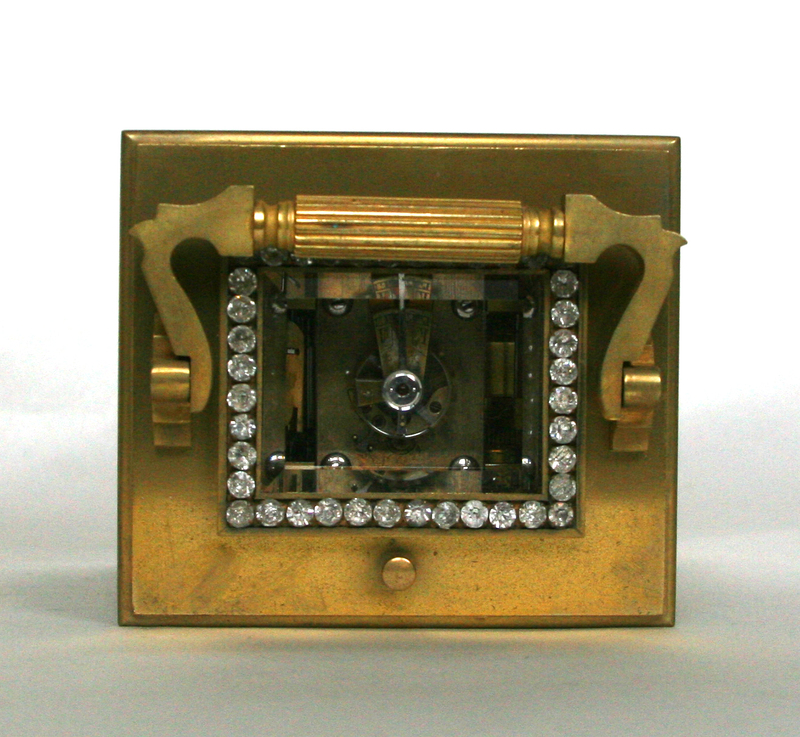 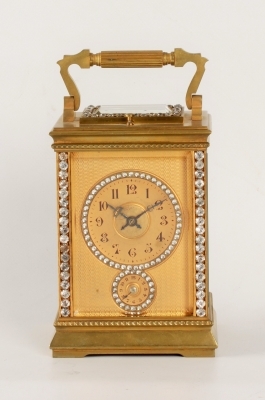 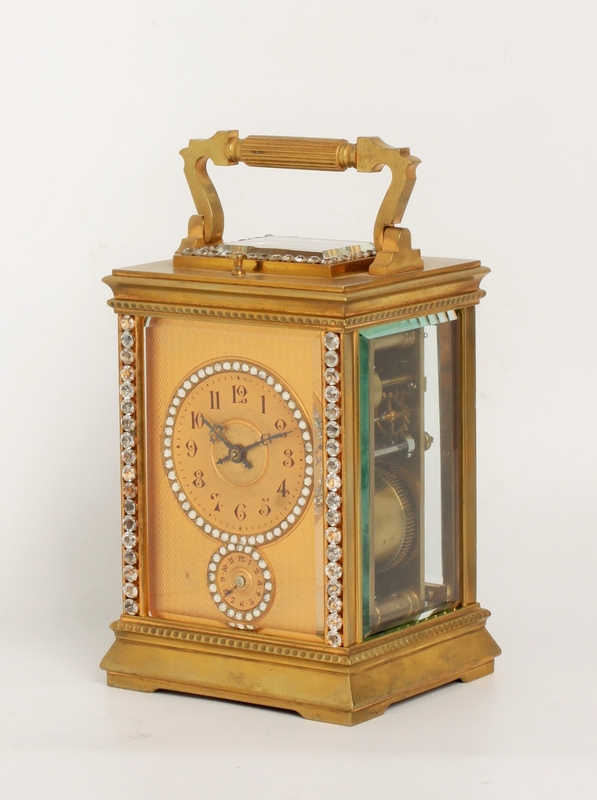 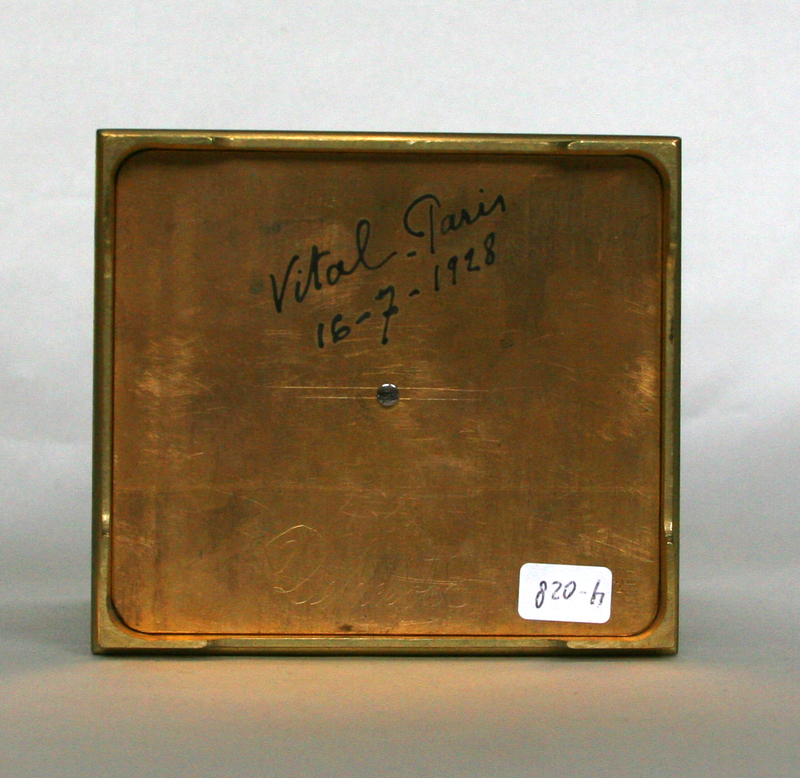 An attractive French brass paste set Anglaise carriage clock with alarm, circa 1900.
spring-driven 8-day movement with half hour striking, brass Anglaise case with paste set stones. 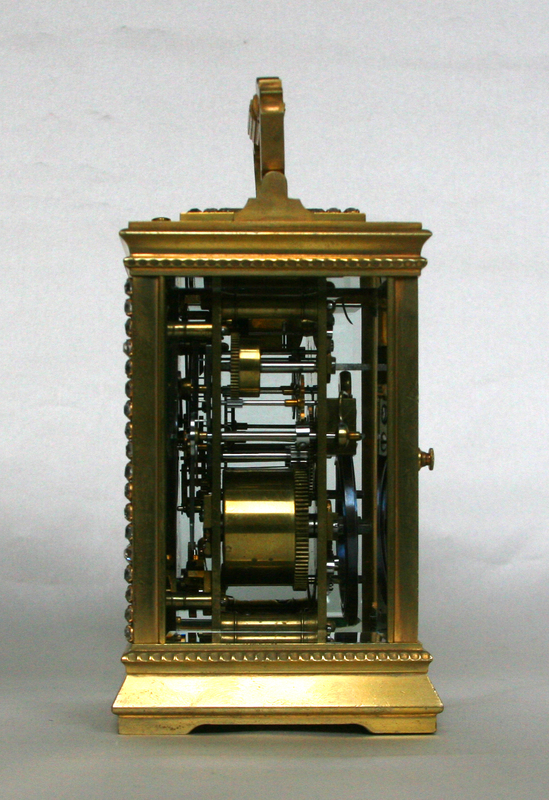 5-cm. 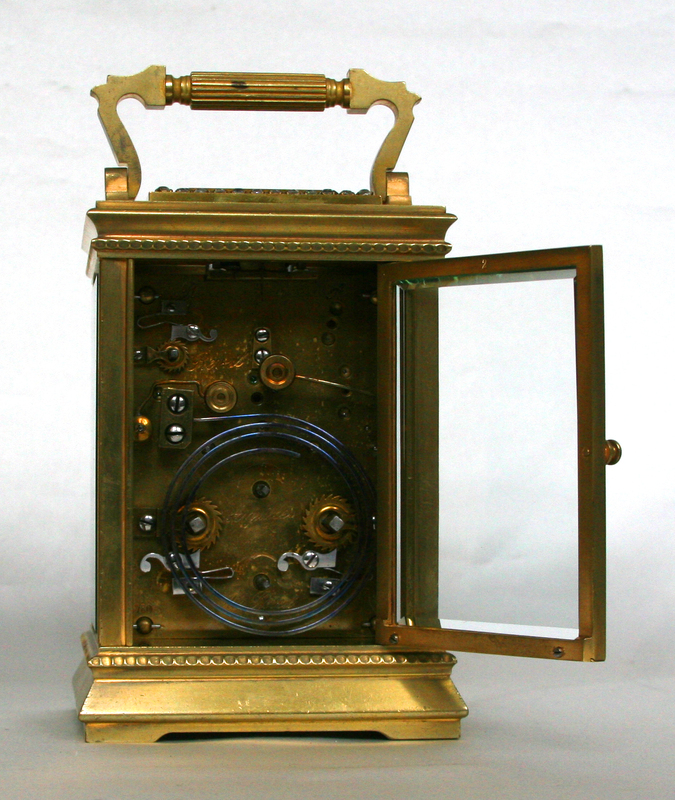 gilt dial with Arabic numerals and pierced blued steel hands, alarm subsidiary below, both dials lined with paste set cut crystal fitted in an engine turned gilt mask, spring-driven movement with platform anchor escapement of 8-day duration, rack half hour striking on a gong with repeat on demand, alarm, brass Anglaise case with similar paste set cut crystal to the top and front, inset on all sides with beveled glass panels. 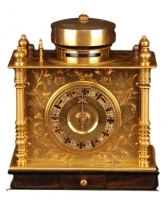 J02 Miniature Japanese Pillar Clock. 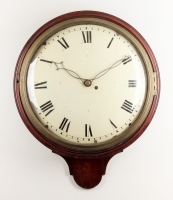 A fine English mahogany dial wall timepiece, circa 1820.